Your Fronius GALVO/PRIMO/SYMO inverter displaying the STATE 567 inverter fault code message can mean two things. The first is that your inverter is still functioning and does not have an internal fault. However, it is not generating the amount of power required to function properly. 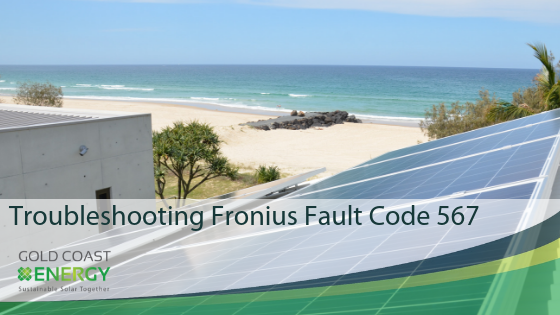 In this instance, the Fronius Fault Code 567 will be displayed on your inverter. The STATE 567 fault code is alerting you to the fact that the Grid Voltage Dependent Power Reduction (GDPVR) function is still working. Although this may seem confusing, it is simply telling you that the voltage of the electricity grid is higher than it should be. Because of this discrepancy, the inverter reduces its power output to keep the grid voltage within acceptable limits. The STATE 567 fault code is telling you that although the inverter is still functioning, it is not performing to capacity as its power production could be significantly limited. This is obviously bad news to solar owners. What can you do when this message appears? The installation settings of the Fronius GALVO, PRIMO, and SYMO will have the GDPVR operating automatically if the grid voltage is more than 250V. Some electricity providers (such as Energex) can potentially authorize and change the setting from 250V to 255V. This will remove the fault code. Please note that only an accredited solar electrician can change the setting. This setting change can only be authorized by the local electricity provider. This provider is not your electricity retailer but the entity that maintains your electricity network within the area. For example, in SE QLD it is Energex. 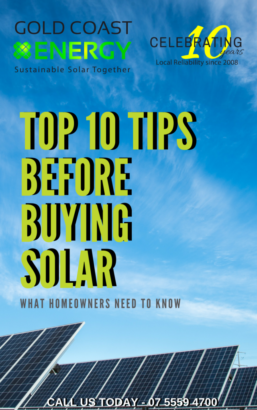 We also suggest that you check with the solar company that installed your inverter that the setting has been set to your electricity providers requirements. You must check with the company who installed your inverter if you want to get accurate information. Your Fronius inverter could have been installed with the GVDPR set to the maximum allowed level, yet still display the STATE 567 fault code. If this scenario occurs, the voltages on the grid need to be checked. The best time to do this would be in the middle of a sunny day while your inverter is switched off. If you notice during this check that the measure voltage is high (above 255V), you will need to look at contacting your electricity provider. They will explore why the voltage it too high. Your electricity provider is obligated to provide their network with a stable grid voltage under 255V. If you are still finding the STATE 567 displayed on your inverter after trying the previous two steps their may be an issue with voltage rise in your system. 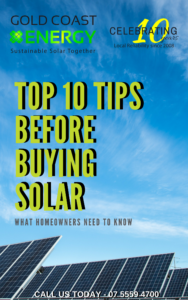 The next step is to contact your original solar installer so that they can examine this issue for you. Installs allow a maximum of 2% voltage rise. If the voltage rise is higher than the AC cables at your property may need to be upgraded. If you continue to have any issues or have anymore questions, please don’t hesitate to contact Gold Coast Energy. Our service team will be happy to point you in the right direction. If you need anymore information on other Fronius Fault Codes please check out our full list of Fault Codes and what they mean here.